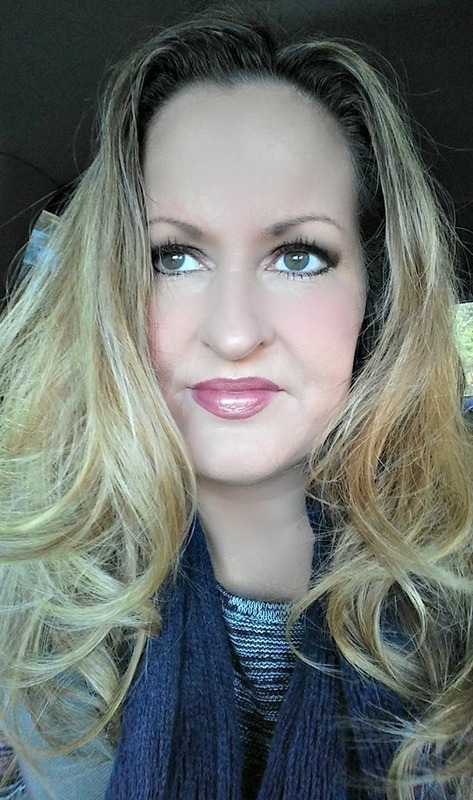 My hair is very dry, frizzy and damaged because of my highlights, but it gets a lot worse when the temperatures drop. In the winter, my hair should really be hibernating because it is a bear! Thankfully, Carol's Daughter hair care has come to my rescue. To help protect my hair and prevent split ends and breakage, I trust Carol's Daughter products. 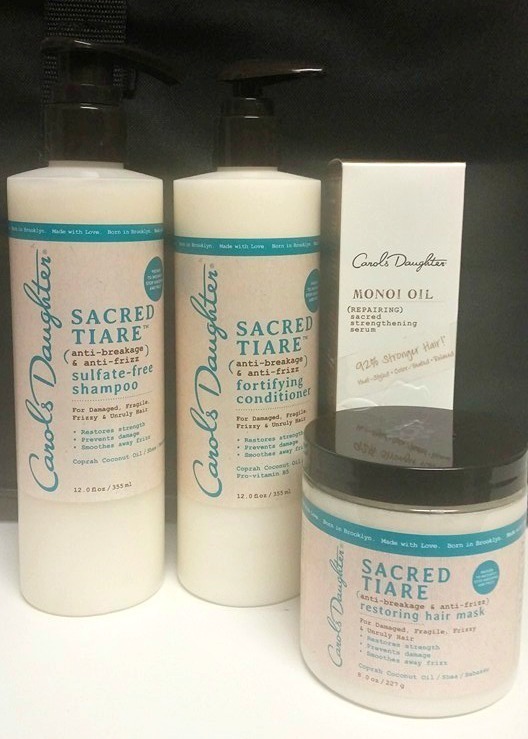 Right now, I am using the Sacred Tiare Collection along with the Monoi Oil Sacred Strengthening Serum to tame my unruly tresses. This 3-piece set instantly fortifies hair as it tames frizz and improves softness. It’s packed with natural ingredients—and lots of love for stronger, smoother hair. Sacred Tiare Sulfate-Free Shampoo is a sulfate-free, color-safe shampoo that cleanses and strengthens hair to stop shedding and control frizz. Sacred Tiare Fortifying Conditioner is a rich, strengthening conditioner that restores damaged hair that’s prone to breakage and frizz. Sacred Tiare Restoring Hair Mask is a strengthening cream treatment that reduces breakage and fights frizz. The Sacred Tiare Shampoo is so luxurious! It deeply, yet gently cleanses my hair without drying it out. after washing my hair I switch off between the Fortifying Conditioner and the Restoring Hair Mask. 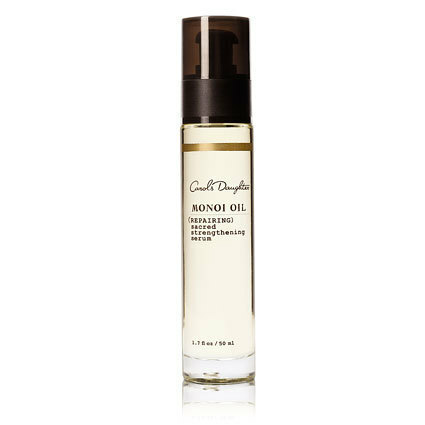 After rinsing and towel drying my hair, I add a few drops of the Monoi Oil Sacred Strengthening Serum, and I work it throughout my damp hair. This lightweight, silicone-free, miracle oil reverses and prevents damage to even the most distressed hair caused by heat-styling, color-treating and chemical straightening. Disclaimer:I received samples of these products to review and to keep. Al opinions are my own.